We offer medical rehabilitation boarding at reasonable rates along with many other horse care services to offer the best care in equine management for “the whole horse.” Space is limited, so please contact our office for more information or email us today! All Seasons are a unique experience here at Charlton. 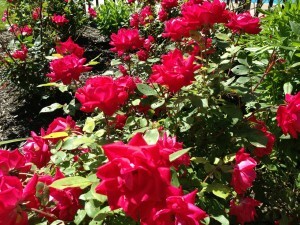 From spectacular Fall Foliage to Spring Time blossoming & the hum drum of Downtown Saratoga!!! Whether your in or out of the ring, it is a one of a kind facility that you will not find anywhere else! *Certificate of insurance required by all instructors. *Medical Board is determined by a case by case basis for each equine and the regime required by the prescribing veterinarian. **$985.00- Seasonal Board on an application basis. Please email barn for details/inquiry. Our beautiful and comfortable Indoor Riding Arena. 65 x 130 with Travel Rite Footing. We also offer a 75 x 180 outdoor ring. 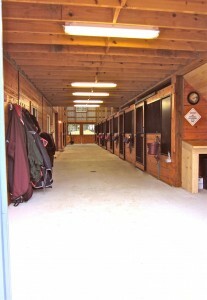 We offer a fully climate controlled tack room with lockers available and storage for all your tack. High G-Force washer and dryer on premise for all your laundry needs, as well as WIFI, conference room, and business office at your fingertips. Kitchenette, with microwave and full refrigerator and bathroom, and dining area at your convenience. 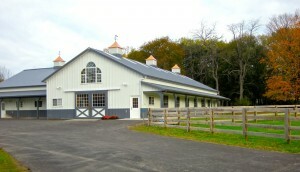 * Charlton Location is a brand new State of the Art Equine Facility designed for Medical Rehabilitation and Educational Training and for the rider that demands nothing but the best for their horse. Our facilities in Charlton are heated, A/C and dehumidified for the environment to be reliable in the rehab and well being of your horse as well as to accommodate our warm summers, and very cold winters, so you can continue your training without taking a season off. Our staff and facilities cater to you and your horse with huge stalls, swing feeders, heated floors and central drainage for easy and precise cleaning, with detail to your tack and horsey goodies to be cared for in the way you need them to be. Our footing in Charlton is a TravelRite footing, to provide ultimate comfort for those with sore feet or sensitive spine issues. Our footing is the same as used at the Syracuse Invitational. **Cost varies by diagnosis, length of rehabilitation, and training need. Does your horse BUCK when you ask for the canter? Does your horse make ugly faces in upward and downward transitions? Do they swing out and kick or flinch their skin at the spine or croup area during tack up or grooming? Do they seem stiff and unable to really get their hocks ups when trotting, but your vet says they have no hock problems? Well, it may very well be their back and how they are ridden. So many horses today are in pain from poor saddle fitting, or because they have been ridden incorrectly with the head way to high in the air, or they are being jumped when they are not strong enough in body condition for the level. And many go misdiagnosed or undiagnosed all together and end up being broke down and retired to pasture at an early age because they just can not be ridden anymore due to extreme discomfort. It is very hard to find a horse with a great personality and temperament, so if you have that, but they are having movement issues undersaddle, why not try to help them be pain free and live a long and happy life as your partner in riding? We can help make your horse more comfortable and stronger in their work and help you keep the friend happy that you love so much! We offer many services for the horse who will be off for some time and needs that little extra TLC during healing time or special conditioning to get them back to optimum performance. We work closely with area vets on minor cases,but use Carol Vischer DVM from Northeast Performance Equine for more serious injuries and lameness problems to get your horse back to feeling their best and being comfortable. (As seen above,) Carol is working on an eventing horse with severe kissing spine and hock issues. This horse is crooked in his croup and has issues with fences over 18 inches. He is very talented and well trained, he just “seems” very cranky and mean, but is really trying to tell us..” I really hurt when I move or if you pound on my back with your hiney!” Seen here, he is getting prepped for chiropractic treatment prior to his final series of spine injections. With this final series, we are hoping to continue his conditioning rehabilitation and bring him back to the eventing course with no discomfort. He has done very well, so far, we will look again at his progress in June 2009! Carol Vischer, DVM specializes in lameness and spine problems. Carol has over 15 years experience working with mild to severe Kissing Spine and has helped many area horse owners get back to basics and get their horse feeling and moving the way you always have wanted them to. In addition to her onsite digital xray capabilities, Carol offers, chiropractic treatment for “ouchy ponies” that need re-aligning. We do it for ourselves, why not do it for them? They carry a lot more weight than us?Right? This Horse was diagnosed with mild athritis in his hocks with pinching in his 15/16 and 17/18 vertabrae of the spine. 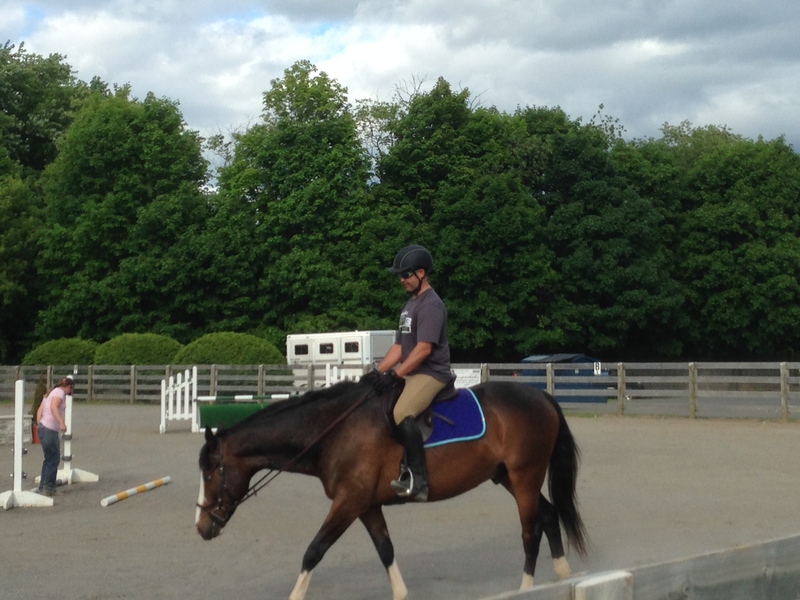 He was in a lot pain at the canter, more to the left than right and especially when jumping. He was in a bad habit of bracing and coming up short and burying himself at the take off.With hock and spine injections he was able to be comfortable enough to get out of his own way and work through conditioning in comfort. 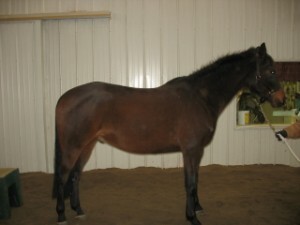 When he arrived his topline was poor, he was out of shape and he was long with high croup. * Injections do not fix the problem, they allow the horse to have some lubrication and knumbing effect, that they can’t do on their own and it acts as a “pain relief tool” to help them be pain free in the problem areas to get better. Here he is seen six months later, very comfortable and enjoying his job and very fit! We can help you properly condition your horse to build a great – strong topline, and be soft,round, lifting their back to be more comfortable and move more freely and forward, without pain. 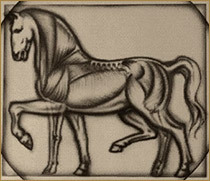 Many of our equines today suffer from back and joint pain for so many reasons: saddles fitting poorly, degeneritive joint issues, incorrect riding ( horses head is too high in all gaits, especially the trot, canter and jumping) and they are not fully engaged in the hind quarters, bringing themselves underneath for proper form and balance, etc….We can help your horse feel great and have you get the ride you have wanted for so long! Many people misdiagnose their horse as having a behavioral issue or they think its in the hocks, wheny 9 times out of ten, it is spine related and able to be corrected. 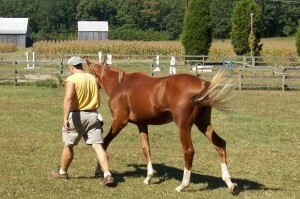 This horse was diagnosed with moderate kissing spine and arthritis of the hocks. He had spine and hock injections and underwent two straight months of ground work with elevated trot poles and side reins to build a strong topline and enforce him to keep his head down and be soft and round at all times. He could not have any weight on his back from a rider during this time to heal from his injuries, and had to learn how to do his job all over again, but in comfort. He was an excellent patient! Please feel free to call or email us if you have questions. We will be happy to assist you in anway we can to having a more happy, healthy equine! **All costs will be written out by our facility after a licensed vet has assessed the equine and a rehabiltation course of action has been decided. Vet exam is separate and a separate expense sheet will be given to the horse owner after assessment of an estimated cost for services required during treatment. WOW! LOOK at me!!! What a handsome boy. After a few months of hard work by his owner Casondra and SHF , this horse was given the green light by Carol to go home and resume his conditioning mounted by Casondra. He made tremendous progress in a short amount of time and was able to move freely and forward with out hurting. HIs ears were forward and his downward and upward transitions were smooth and beautifully free flowing. He keeps his head down with a slight squeeze of the reins and has a beautiful, strong topline now. Go OUTLAW! We love you! He was worked 40 minutes per day, 6-7 days a week. EQUINE DENTAL procedures are available from Dr. Todd Behre. Br. Behre travels to the area several times a month to area stables peforming required maintenance for our equine friends and also complicated procedures that require an individual with more experience and knowledge with tooth and root care. Many horse owners are unaware of the high importance good dental care plays in optimum performance and health of their horse. Just as we humans, horses can have many problems if their teeth are not properly cared for. Remember: Some horses will show no or very little signs until the problem worstens. dropping more food than seen before. If you notice some of these signs or have concerns about your horse’s health, as always consult your stable owner or veternarian right away! Bachelor of Science degree in Animal Science in 1983.
issues are seen more frequently. ** Horse Hotel board per day is basic fee, which includes daily stall cleaning, hay, water, 2x daily, 15 minute basic groom, 15 minute daily exercise in ring. Turn out of a minimum of 2 hours in individual pasture. (Grain is provided by owner) We offer year round full service boarding at reasonable rates along with many other horse care services to offer the best care in equine management. 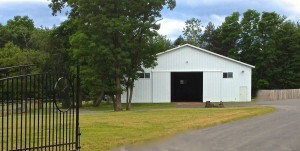 Charlton Equine also offers a place to park your trailer and disconnect while you visit many of the close by shops or restaurants and your horse stretches its legs and unwinds from the stress of trailering. Leases give you the option of riding when you like, for as long as you like with out the expense of buying, boarding and caring for a horse year round. Many people find joy in riding over the summer months, or spring and fall and then taking off the winter without having to continue the high cost of owning a horse. Lease options work extremely well with summer home owners and professionals that travel during the year and also our program parents who wish to introduce the responsibilty of horse ownership to their children and what its really like to have to really care for a horse, without having to buy one of course!. Leasing is a great way to enjoy the experiences of horsemanship at your leisure without the 24/7 worry and cost. We have many nice horses to choose from with all different levels of riding! 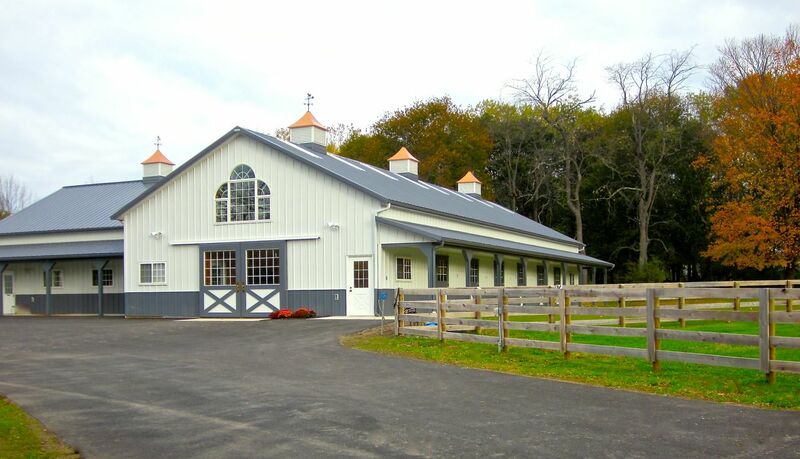 To give the absolute best care to the horses that stay at Charlton Equestrian Center along with a one of a kind living environment for your horse. We believe that great turnout and a calm, serene environment is the best for a horses mental and physical needs! Not mention, the rider gets to have fun too enjoying the facility! Come and find out what a difference it is to have full service Private boarding and the best amenities at a competitive cost for you and your horse! Copyright © 2019 CharltonEquine.com. All Rights Reserved.